We, a family of four, really had a wonderful time in Bhutan. Our guide and driver were really caring towards all our needs and adjustment in the itinerary. 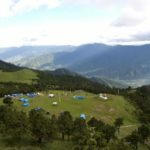 Hiking through some of the most natural and rural parts or Bhutan was amazing with friendly people and untouched environment. We also experienced a snowfall during our time there.Thanks to Bhutan Acorn Tours & Travel who planned and made all the arrangement seamlessly right from the start till the end. Booking a trip through this company is definitely worth! We were absolutely delighted to have tour with this company. From the time when we first contacted the company via email, everything was so seamless and professional. Lhendup is a superb guide and photographer. We have some brilliant memories to take home. We were really lucky to have him. He listens to our comments and adjust the itinary accordingly without any additional cost. After finding out when is our wedding anniversary, Lhendup and Perma went to surprise us during dinner. It makes our wedding anniversary very memorable. Both the guide and driver rather work late than rush us. They are also very attentive and have a brilliant sense of humour. There is one day I laughed so much, I have forgotten how cold it was outside. We would highly recommend this tour company and the guide + driver. Thanks for giving us such a memorable trip and we now fully understand why Bhutan is the happiest place on earth! 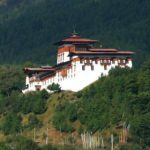 After reading so many wonderful reviews of Bhutan Acorn Tours, I decided to visit their website and contact them by email. From the very first reply, I can honestly say their passion for their own Country, and personal services completely shone through. 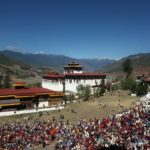 Their incredible knowledge and expertise made everything from arranging visas, to experiencing the most unbelievable hiking, and enjoying true Bhutanese culture really easy. Our guide ‘Sonam’ and driver ‘Jimmy’ were extremely attentive and went above and beyond in helping us to have the best of everything at all times. 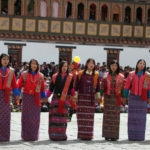 If you’re planning a trip to Bhutan, contact Bhutan Acorn Tours today. Just send them an email – you’ll be glad you did! I have always dreamt to visit this little country, the gem between India and Tibet. Thanks to this tor operator I had wonderful time there. The guide Lhendup was more a friend for the whole trip and we made nice photos to wonderful landscapes, fortresses, temples and monasteries.I definitely recommend them! Thanks to this company! The driver & private guide are so experienced that we can enjoy a lot about the local culture, temples, nature view and foods! You can have different meals everyday in the trip! The hotels are carefully selected with beautiful window view. The people here are pure heart. I really enjoyed taking the trip with Bhutan Acorn Tours and Travel in February 2018. 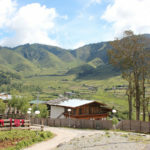 Thank you for accommodating changes to our itinerary and arranging comfortable hotels in Phuentsholing and Thimphu. We were lucky to have good guides who managed everything so efficiently and gave us interesting stories everywhere we went. Sonam was really great and friendly Guide. Itinerary was flexible, changes were possible even during the same day. No any weak points during our stay there ! Strongly recommended tour operator.